Share your personality while you indulge in your passion for photography with this delicious blue floral cotton reversible camera strap. 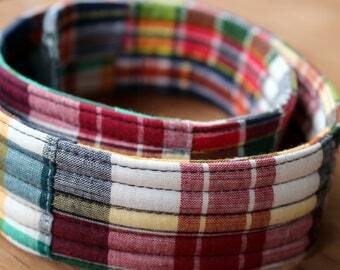 This strap is as much as a fashion statement as a photographer's accessory. 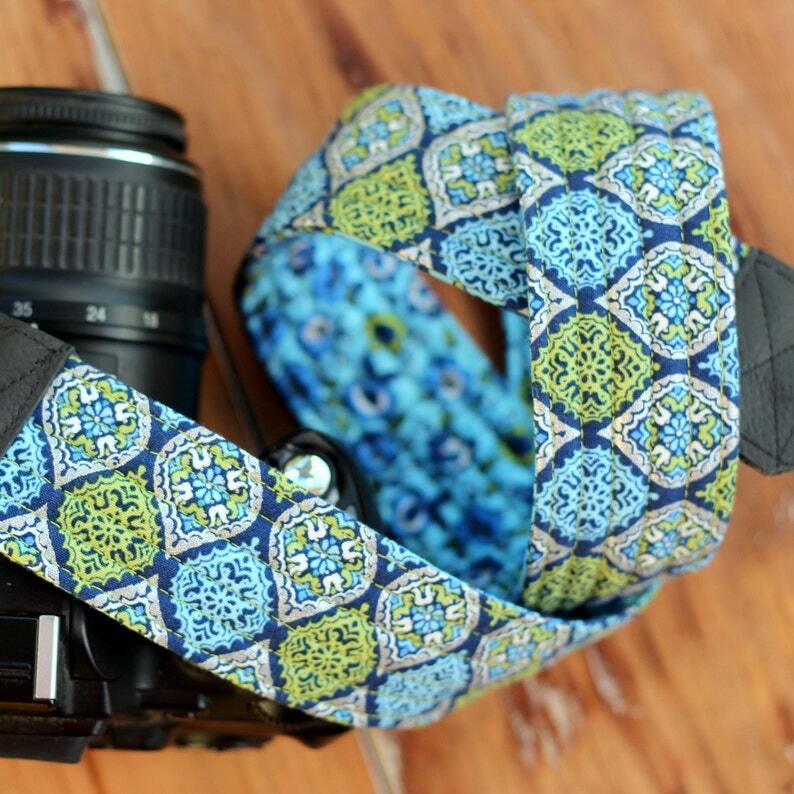 Whether a gift for someone special or yourself, this camera strap is sure to please. While one side of this reversible strap is a delightful blue green floral on a blue cotton, the other side is a rich blue, green, and metallic geometric pattern on navy ... each complementing the other perfectly. The end pieces are crafted from black leather. Very well made. Makes a perfect gift!